Periodontitis and tooth decay are among the leading causes of tooth loss. The best way to protect your teeth is by maintaining proper oral hygiene and going for regular dental visits. To greatly reduce the risk of common, pervasive dental problems such as plaque, gingivitis, and periodontal disease, it’s critical to practice good oral hygiene habits and have your teeth cleaned at least every six months. During regular appointments, your dentist will assess the health of your teeth with the help of X-rays and visual screenings. 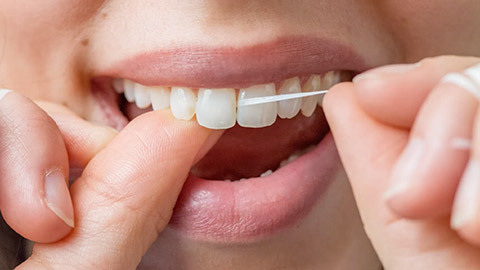 Dentist appointments also involve the removal of plaque from the surface of your teeth (scaling), as well as oral cleaning, polishing and the application of fluoride – all of which will keep your teeth healthy and clean, and reduce the recurrence of plaque. Your dentist will also provide proper brushing and flossing education in order to help you better care for your teeth at home. Oral cancer is one of the most common cancers in the world, because it is difficult to identify and diagnose in its early stages. While oral cancer involves the excessive growth of cells within the mouth, on the lips, gums, cheeks, and throat, its early symptoms can be similar to symptoms of other oral diseases. Because oral cancer can progress subtly, dentists must conduct oral cancer screenings during appointments. A visual screening for oral cancer is vital for early detection and diagnosis. Your dentist will examine your mouth for any signs of abnormal cell growth, such as lesions, red patches, lumps, or sores. Digital images and X-rays aid in cancer screenings by providing extraoral and intraoral images that reveal abnormalities that may have gone unnoticed during a standard visual screening. In certain situations, brush biopsies may be used to test whether or not the white or red spots that appear inside your mouth are cancerous. In this quick, painless procedure, a specially-designed brush is used to obtain a sample from a red or white spot. The sample is then carefully evaluated for signs of abnormal cells. When your dentist identifies that your mouth is at risk for the development of dental caries or cavities or a deep pit or groove is noticed in the teeth, a PRR is prescribed. The pit and groove are carefully cleaned out and a tooth-colored filling material is placed in the tooth. This seals off the tooth from future decay. Your teeth need special care and attention in order to stay healthy. The most important preventative measures you can take are brushing and flossing daily, and going for hygiene visits twice a year. To book an appointment, or establish a regular schedule, please contact Richards & Ribitch Dentistry today. If you need more information about Oral Hygiene/Cleaning in Mount Pleasant, contact us today.